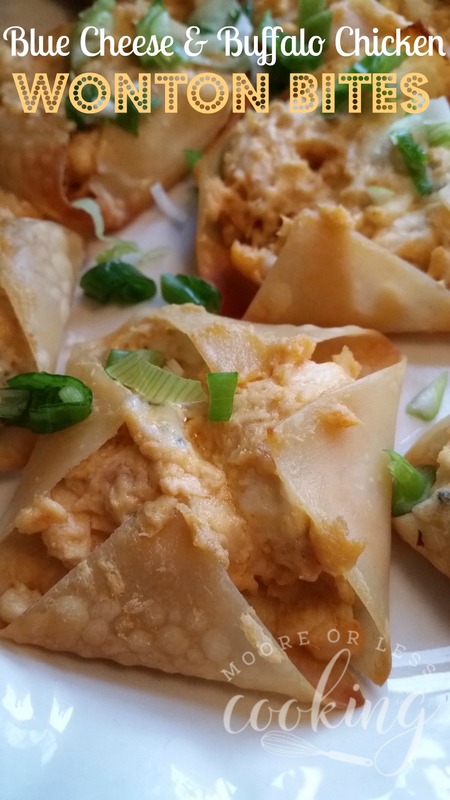 These easy baked buffalo chicken in a crispy wonton cup are the perfect finger foods! My kids are absolutely bonkers about Buffalo Chicken, I think they could seriously eat buffalo chicken wings every day! So I thought these tasty apps would be a hit and lo and behold they were. 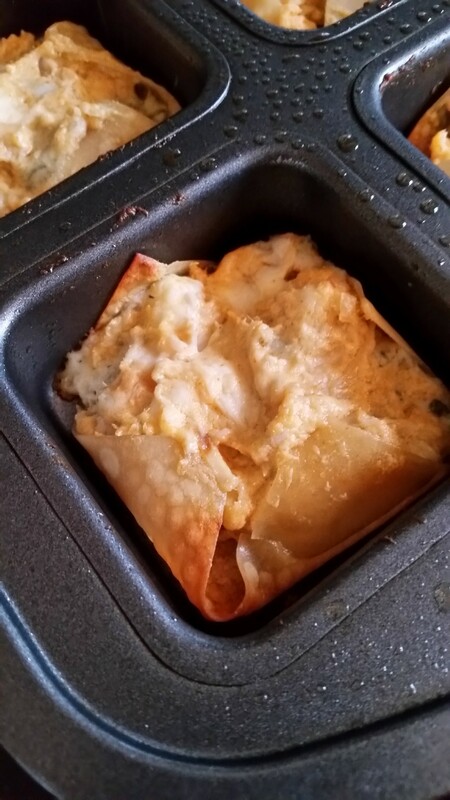 They are so easy to put together, with a creamy filling of chicken, two types of cheese and Cholula Sauce, plus they look beautiful, like a little pouch of zesty yumminess! I used my favorite Pampered Chef Pan, instead of a cupcake pan, so the shape of the wontons were more like little purses, instead of cups. I thought they looked so cute, like a delicious stuffed envelope of Buffalo Chicken! 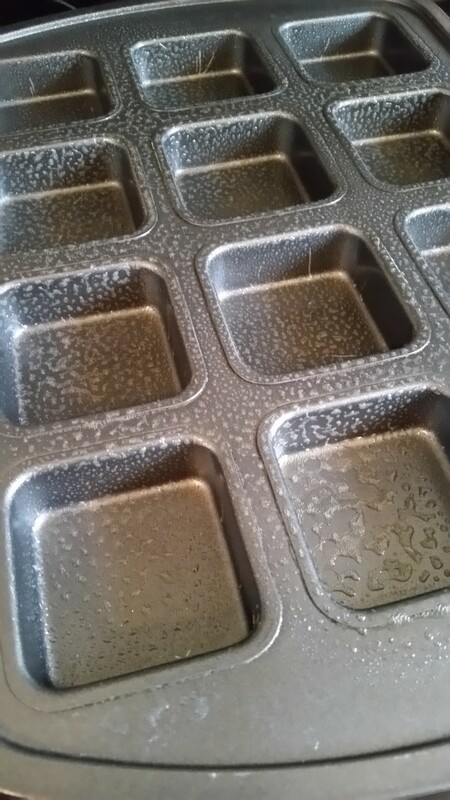 Spray your cupcake pan with Pam Vegetable Spray. Insert one wonton wrapper into each cup. Bake for 5 minutes. 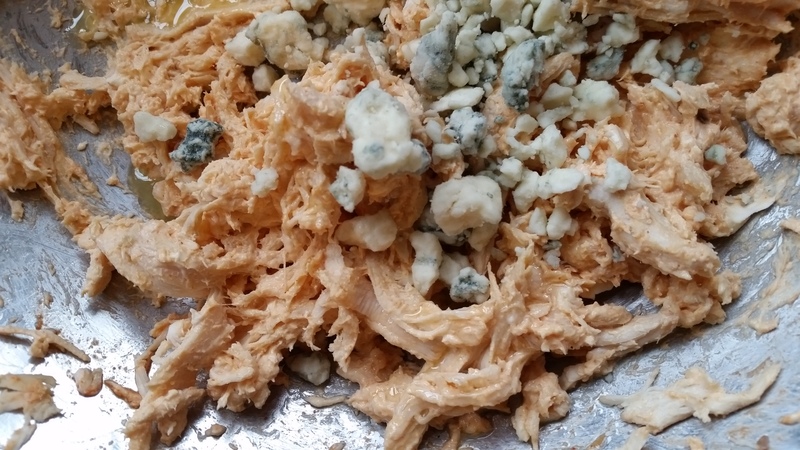 In a bowl, beat cream cheese with a hand mixer until creamy, add shredded chicken ( I used the hand blender to shred) add melted butter, cholula hot sauce and blue cheese. Mix with spatula. Drop 1-2 Tablespoons of mixture into cup, I used my fingers to spread inside the wonton. Bake in oven for 8 minutes, until wontons are crisp and golden brown. Remove wonton bites from the muffin pan and sprinkle chopped green onions over them, serve warm. 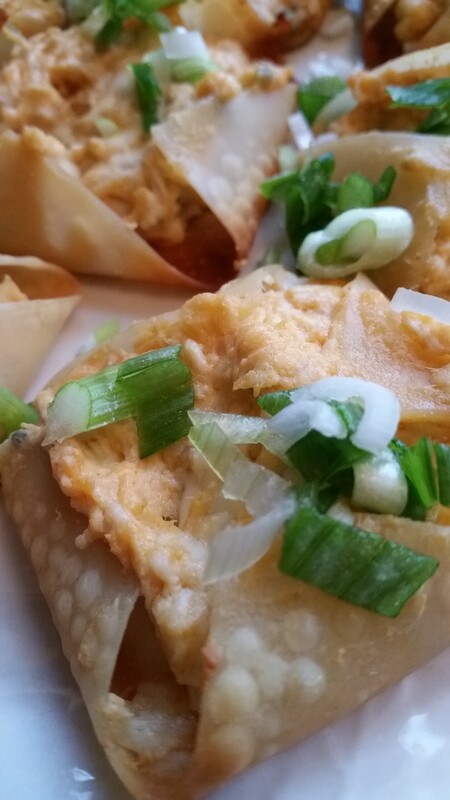 Easy crispy buffalo chicken filled wontons, the perfect finger food! 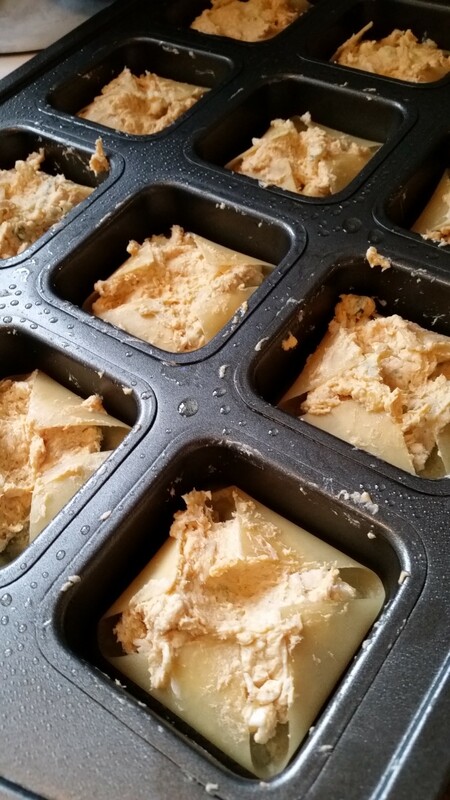 Bake in oven for 5 minutes, when done, set aside. 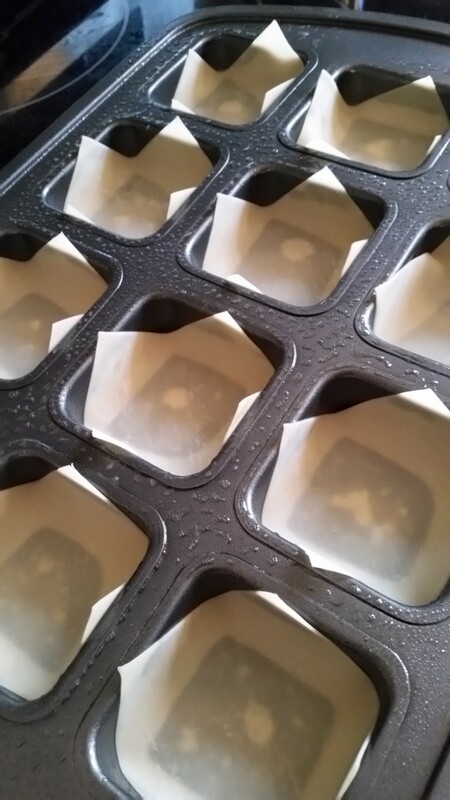 Place muffin pan in oven, bake for 8 minutes until wontons are crisp. This week, we celebrate finger foods with the Sunday Supper Tastemakers. Please click on the links below to see what delicious finger foods are being shared today! I have that same PC pan, and make egg muffins all the time with it. 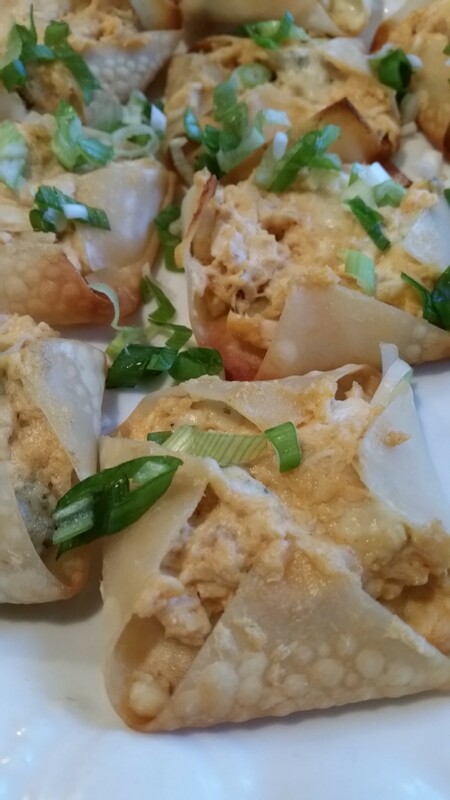 But I am LOVING the idea of these Blue Cheese and Buffalo Chicken Wontons in them. These look SO tasty! Oh man! You had me at blue cheese and Buffalo. I am seriously obsessed with Buffalo chicken and need to make these next weekend. I love all of my pampered chef pans! These look so delish. Anything buffalo chicken rocks! I love the square look of this classic! These look fabulous!! Perfect for just the two of us or easily multiplied for a large party. This is looking really tasty, so appetizing!